The field service industry is starting to realize that female employees—from office staff to engineers—bring unique skills and much-needed diversity to their businesses. 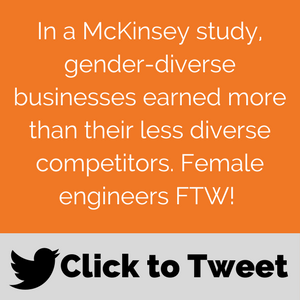 And it's not just female engineers that are bringing the benefits: We're seeing more women vendors, suppliers, distributors, manufacturers, salespeople, office managers, and other skilled female professionals in the field service industry. How can you get on board with all this goodness to improve your own business? 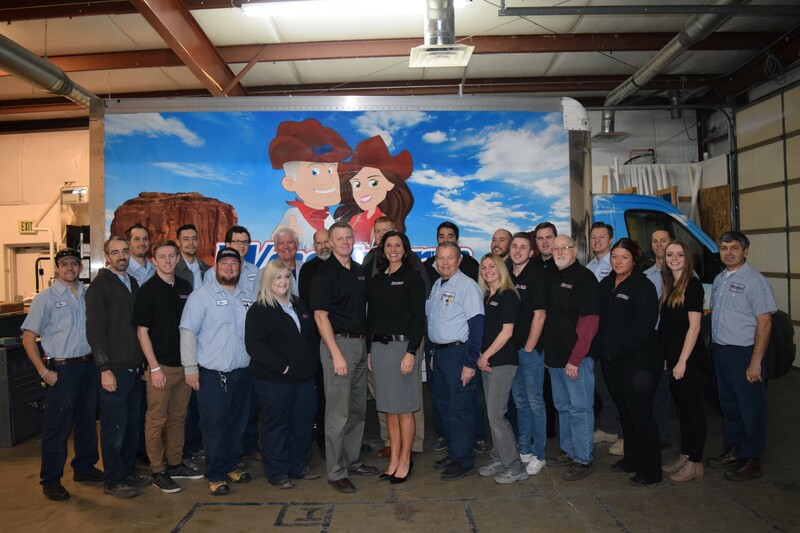 Snow started Western Heating & Air Conditioning 10 years ago with her husband, and since then has built the business to 30 employees, so we talked with her about why you should hire more women—and how to attract and recruit female employees in a competitive marketplace where skilled engineers are in short supply. Help female employees set boundaries. Target recruitment ads to women. Now, let's talk about why you should hire women, and get into more detail on how to bring them on board. Here are some very good reasons you may want to recruit more women into your field service business. 1. Women bring good vibes. 2. Women are detail-oriented workers. Snow has found that the women on her team are very detail-oriented and careful, and they notice the little things that other engineers may overlook. When it comes to cleaning and maintaining boilers, completing job forms, handling finances, communicating with customers, creating marketing collateral, and many other business tasks—detail-oriented is what you need. 3. Gender diversity is good for business. Bringing on female employees can boost your business's profits. According to a study by McKinsey, 'Companies in the top quartile for gender diversity are 15 percent more likely to have financial returns above their respective national industry medians.' In plain English, businesses that hire more women earn more. 4. Women make customers feel comfortable. In many cases, engineers are called to jobs during working hours when the elderly, the homebound, and mothers with young children may be at home alone. As we learned in our podcast with Hattie Hasan of Stopcocks Women Plumbers, these customers often feel safer with a female engineer in the house. Not only can women employees make other women feel safer in their homes—they can even sway the most difficult of customers with their gift of communication. Now that you're on board with hiring women, you're probably wondering how to get women on board in your company. As more businesses clue in to the benefits of hiring women, the hiring market is becoming more competitive—so here are some tips from Snow on attracting female employees to your field service business. 1. Foster a female-friendly environment. Is your office woman-friendly? While you wouldn't want to fill your workplace with stereotypical 'female' décor like cross-stitched wall hangings and bowls of potpourri (does any woman really want that in the office? ), going too far in the other direction can turn off women applicants. 2. Help female employees set boundaries. While many customers feel more secure with a woman engineer in their home, woman engineers may not always feel safe themselves when they're working in people's homes—and they might feel awkward standing up for themselves if things get uncomfortable because they don't want to appear unprofessional. Assure your female employees (and all employees, in fact) that they should set boundaries and not be afraid to let customers know what's okay and what's not okay. If an engineer feels unsafe in any way, they should feel able to leave the situation and know they have the full support of their employer. Workplace safety training that incorporates role-playing scenarios can help all engineers feel safer. 'I had two female technicians, and both of them were single mothers with small children at home', says Snow. 'They want to be able to fulfill their duties as a mother, but they need to provide for their child as well—and they need to be able to keep a steady balance.' Snow is careful to create schedules that give these employees time at home and time in the field. However, in the same Harvard Business Review article, study participants were biased toward men when deciding who to grant flex time to, and were 'much more likely to evaluate the men as likable and committed than the women'. Not only that, but while both men and women using flex time benefits worked overtime to make up for lost work hours, 'men used the extra time to earn significantly more than women in the same program'. All this shows that if employers aren't careful, offering flexible hours to attract women may actually lead to more gender inequality in the workplace—which would be bad for both female employees and the field service businesses that hire them. 4. Target recruitment ads to women. It's hard to attract female employees if, well, they don't know you're looking to hire them. 'Sometimes they get a little intimidated to apply somewhere knowing that they may be the only woman there', says Snow. That's why she suggests making it clear that you're a women-friendly workplace. 'Have women technicians in your marketing so that when women see it they think, "Hey, this company has women technicians...maybe I should apply there,'" Snow says. She also recommends speaking in schools about the opportunities for women in field service. We talk a lot about hiring in this post, so to help you hire the very best employees we created a Complete Hiring Checklist for Field Service Businesses. 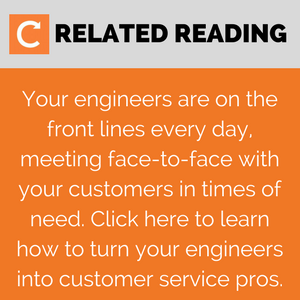 In this free, fillable checklist, we'll walk you through every step of the hiring process—so you can get started finding the perfect field service engineers today. Download today...and enjoy!